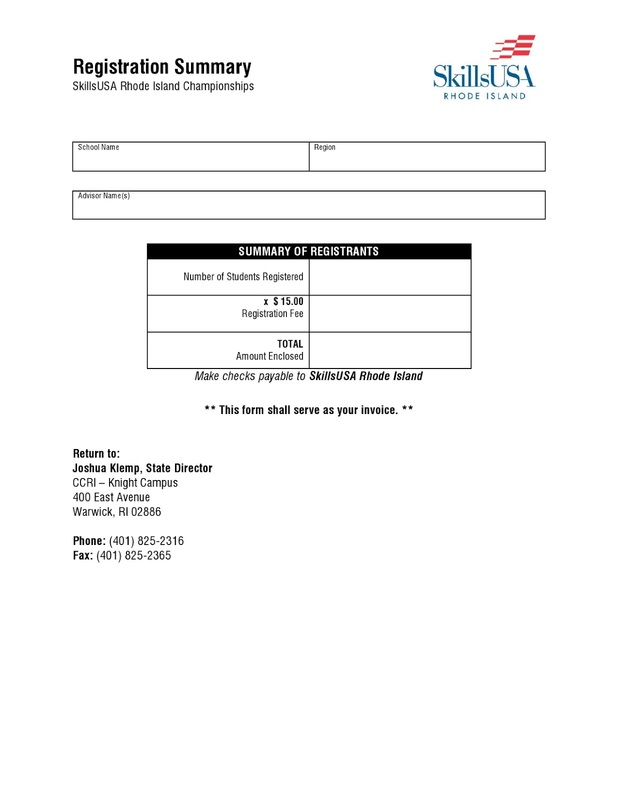 Registration Form for the 2012 SkillsUSA Rhode Island Championships! 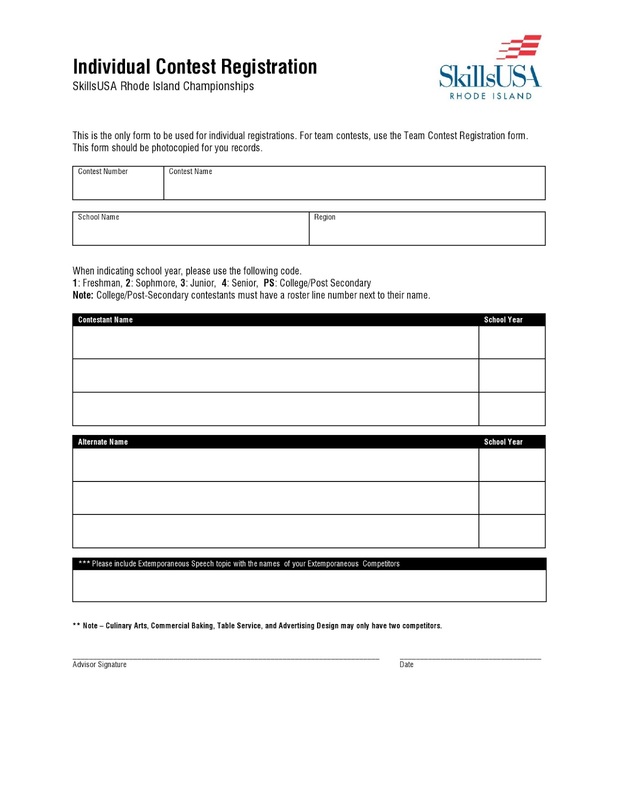 This is the registration form to compete in the 2013 SkillsUSA Rhode Island Championships. 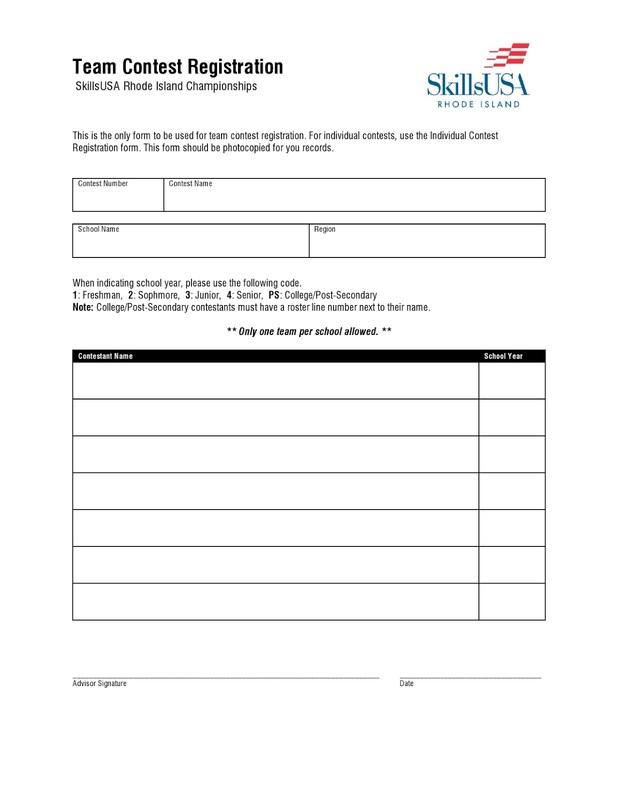 Please fill out this form and include your $15 registration fee by February 1st to secure your spot in the competition!